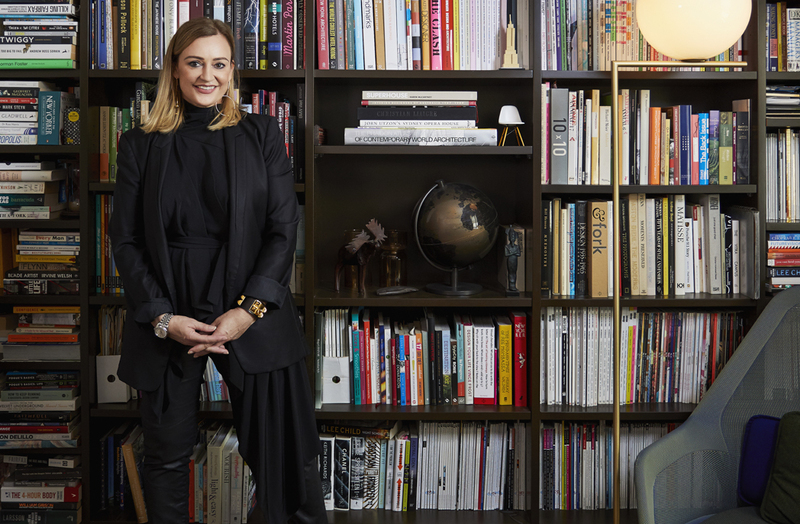 As Futurespace celebrates the 10th anniversary of its Melbourne office, managing director Angela Ferguson gives ADR a glimpse into the next decade of the practice and a look back at her design career. ADR: Tell us about your background in design and what led you on the path to being managing director of Futurespace. Angela Ferguson: I became an interior designer because I have always believed that the spaces we inhabit can have an enormous influence on us and that people are the product of their environment. This is especially important in workplace design because we spend so much time at work (the Australian working week is one of the longest in the world). At Futurespace we also believe that people are the product of their environment and we spend a lot of time understanding and getting to know a client before we start creating their future environment. I had my own business for about seven years before I joined my practice with Futurespace – our values and vision were really aligned and it was a natural fit. I became managing director as we evolved the business and became more structured. We are a medium-sized practice, working for some of the biggest global brands from around the world, and we need to be as professional as the businesses we work for. Designers can sometimes feel that structure is not creative, however, I believe structure allows us to focus on creativity and innovation – because the boundaries are clear and the nitty gritty is taken care of. It’s been a challenge balancing both the creative and business sides of Futurespace – my training is as an interior designer and design is my first love. I’ve had business coaching for most of the last 10 years and this has been invaluable in terms of increasing my knowledge around the business of design. What were the origins of Futurespace? How has it evolved over the last decade? Stephen Minnett founded Futurespace in 2001 in Sydney and the name Futurespace was about his interest in and commitment to understanding the future of the built environment. The business originally had four partners, three of whom eventually went on to pursue other interests. I joined in 2009 and in the last 10 years we’ve continued to grow and evolve into new sectors and new markets. Our work is predominantly workplace strategy and workplace design and we are now working in retail, building refurbishment and other sectors creating interiors that have a sense of ‘place’ – interiors that are curated, bespoke and tailor-made for the end users who will inhabit them. We have been established now for 10 years in Melbourne, with an office/permanent staff here for much of that time. Over the last few years, the Melbourne team has grown significantly and has cemented its role in the Melbourne market with some key projects for clients like PwC, REA Group, Pexa, MYOB, EA Games and Johnson. We’ve also recently completed retail and building refurbishment projects including the St Collins Lane Food Hall and Amenities refurb and the First State State Plus Members centre at 570 Collins St. We are really pleased too that Jerad Tinnin has joined us to head up our talented Melbourne team – he has more than 20 years’ experience around the world including in the US, NZ and Australia. What makes Futurespace stand out amongst its competitors? There are two reasons – first is our people. We recruit based on culture and everyone at Futurespace is a designer by choice. Our people all believe in the power of the physical environment to do more than just look good. Our people believe in creating spaces that go beyond decoration and that address issues related to health and wellbeing, global business challenges, rapidly changing technology, competition, the war for talent, culture and brand and people and behaviour. We have an amazing, talented, diverse, committed team – where everyone is unique and has something special to bring to the table at all levels of experience. The second reason is our values. At Futurespace, learning is our number one cultural value. Everything we do is geared towards acquiring knowledge, lessons learned, exploring new ideas, embracing technology in our daily practice and sharing our experiences with our clients and with each other. Our thought process includes no house style – every project we undertake at Futurespace is a direct response to a client’s brief. We also believe that an interior is constantly evolving, an environment is never static or finite. The aesthetic is not the priority or final goal of our projects. How has the interior design and architecture industry changed in the last ten years and how has Futurespace adapted to this? The biggest change is that technology has put more pressure on us to deliver to clients. The expectation seems to be that computers make the process of design easier and quicker, and whilst this might be true in terms of producing bulk documentation or other repetitive tasks, you cant ever really circumvent or take short cuts to innovation and creativity. Time to think, reflect, review and reiterate is really important. I think our young designers feel this the most – they are not getting the training and mentoring that the Baby Boomers and Gen X’ers got the advantage of. The other challenge has been how media can sometimes portray design – that its solely about the final image and what it looks like – and not paying enough attention to the issues of process, quality, longevity, experience. We have adapted by developing our own systems for mentoring, training and coaching, as well as advocating for and sharing stories of design intelligence whenever and wherever we can. What does the future hold for Futurespace? Where would you like to see the business in another 10 years? I would like to see FS continue on beyond the lifespan of the directors and to be a practice that always has an impact on the built environment, creating spaces that make people feel better for having been in them. We want to to stay ahead of the curve in terms understanding the future and how it relates to the built environment – staying innovative, creative, intelligent and continuing to embrace new ideas and new thinking as it relates to interiors. The world is constantly changing and so human behaviour is constantly changing … which to me means that our physical environment is always going to need to adapt. I am also undertaking a PHD at RMIT School of Architecture and Urban Design and so hopefully I will have finished that by then too! What are your favourite spaces to design and why? Favourite spaces are always ones that do more than just look good – spaces that solve a problem or fulfil a need and contribute something to the world. Interiors can really make a building a great one. The spaces inside buildings are more than decoration, they are the cornerstone of our humanity. A building’s interior should promote holistic wellness, create social connections, engage, support, nurture, stimulate, foster creativity and be navigated intuitively. When all of these things combine, people are influenced to be the very best version of themselves. In western society, we spend almost 90 percent of our time indoors. So its important that the buildings we inhabit are centred around people, via their interior – the projects that address these issues are our favourite ones.